The client’s home had stunning views, and sat high up on the hills where no blinds or curtains were needed. 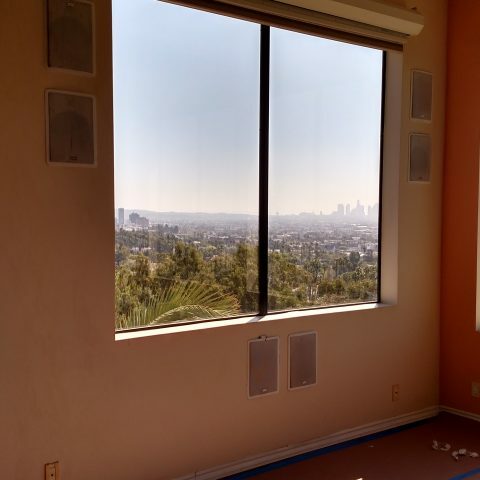 Thus, we selected one of the windows facing North the the location to mount the projector screen. 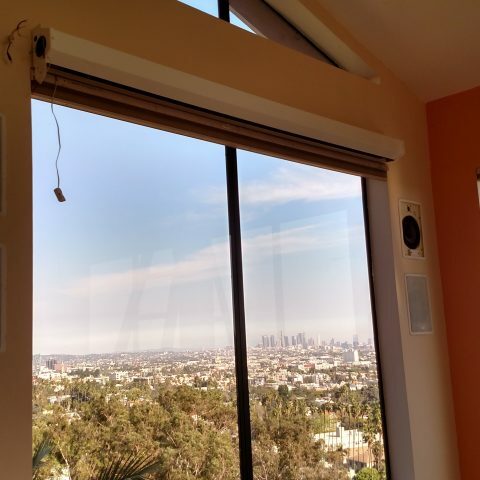 Facing North was important because we did not want the heat or light to cause damage to the screen, We also did not want to affect the viewing experience during daylight, which is often times the problem when you decide to place a projector screen over the window. So let us take you on our journey below. First, we installed a our remote controlled projector screen over the window. 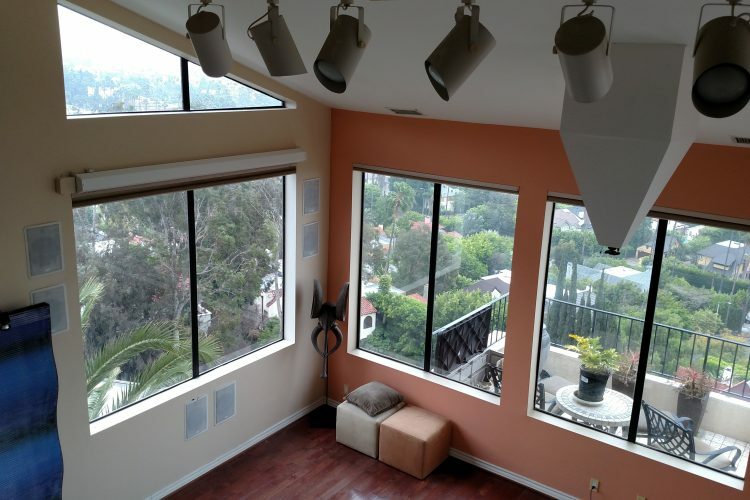 We accentuated the would be screen area with six surround sound speakers, embedded into the walls. And as you can see below, we clean up after ourselves. After all, our job is build you the best home theater experience, not make a mess. 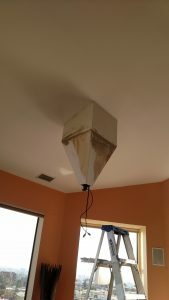 Here is the build process of our custom enclosure piece. 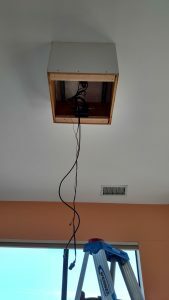 We did all the wiring work from the attic as well. 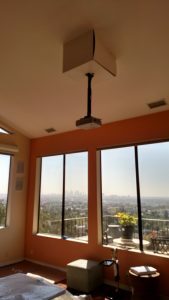 We installed functional stage lights to complete the home theater experience. The end result is beautiful and stunning. 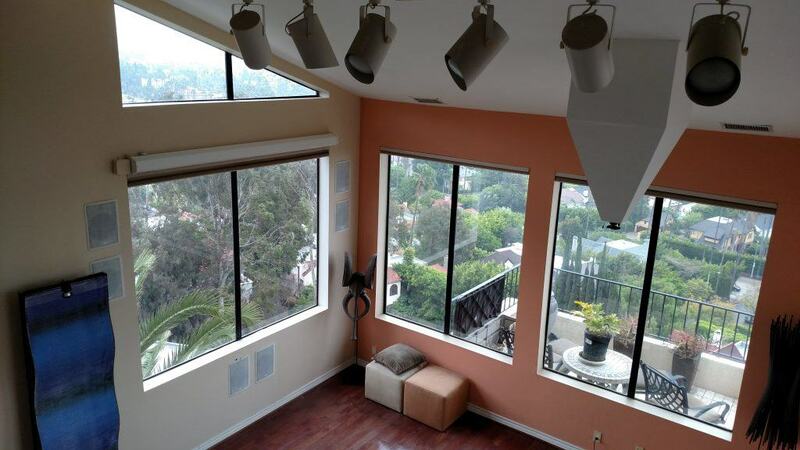 What a great venue for hosting parties and the ultimate home theater experience. Hope you enjoyed the blog!